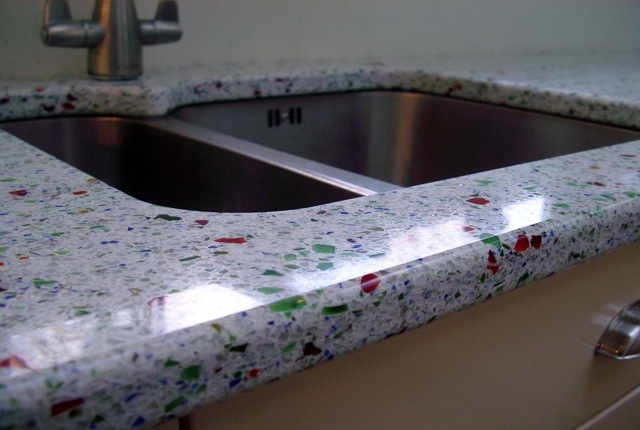 Our recycled glass worktops can be machined to accommodate most shapes and styles of sink. 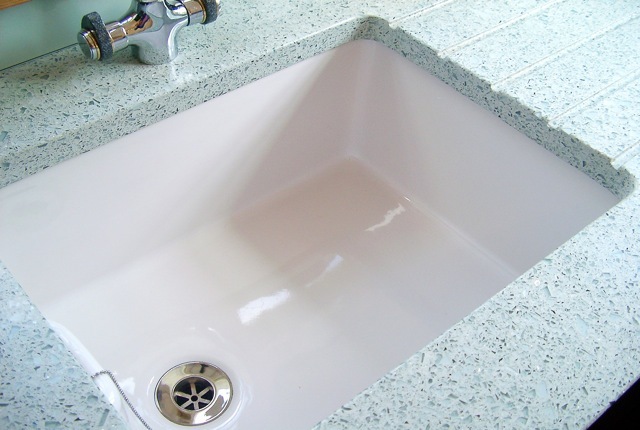 We can polish cut-outs for under-mounted sinks and shape these edges to follow curved bowls. 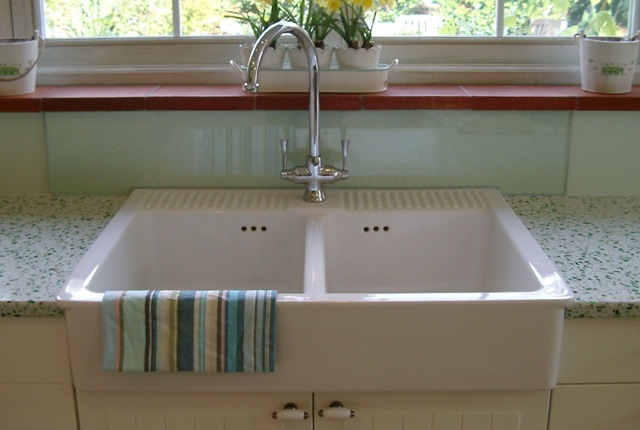 The Resilica aesthetic complements stainless steel and ceramic alike.